Well actually i have 2 more papers to go through and they are 2 continuous papers so i'm busy studying the 2 subjects togethers. 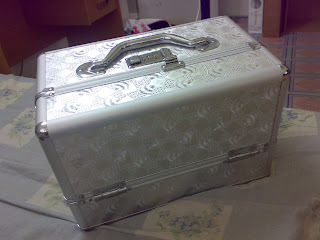 So...you kno wat i did during birthday? But anwy, stay tune for the birthday post. My best friend came yesterday with her group of friends to stay at my house. Yeah. i know it's final exam period but they were pretty quiet coz they didn't want to disturb me. They went to the Jetty for their Karaoke session, pity can't join them. So i waited for them for dinner. I told my friend before she came that i didn't want to celebrate on the 16th as i have paper the next day. So she went and buy the cake yesterday to celebrate earlier. Thank you so much. Exam in 2 days and here i am, blogging. Envy those with good brains. I want good brain too! OK! I'm fine with mine. Birthday coming soon, but seems that nobody is free to celebrate my birthday. Yeah, there are still a few very good frens who said they would like to celebrate it for me like my ah ko Thomas and my Si Kancil. I really thank them a lot for letting me feel i even exist. But still, i ask them not to celebrate it for me. Exam period, all busy. Sometimes birthdays really makes me scared. It's like a time where you will know whether people remembered you or not, whether you mean anything to them, whether they even treat you as a fren. So, it's important to me. My family will alwiz wishes me. My sis, my bro my dad and my mum, would each send me an SMS. Every year, since the 1st year i studied here. Recieving wishes from frens is also very very nice. And normally, i would even keep those messages for more than a week, and do not want to delete them. It's a special feeling. I seldom recieved any presents. and actually, those aren't the most important things. And well, everyone is busy during my birthday due to the exams so i guess it's really hard to ask people to go and shop for my present. But really, i love your presence in my life. Just treat me as a real fren and i'll really be glad enough. I really hope i could do well for this coming exam. I choose not to compare with others but to set a target for myself and to beat that target. Comparing with others making oneself stressful. Even though competitiveness is good, but why torture yourself when you don't have the ability to do what others do? As my mum says "Try Your Best!" not "Try to be other's Best!" Anwy, good luck to all Delta Accounting Students! P.S. : Happy Mother's Day! Something i wanted to buy for a very long time. 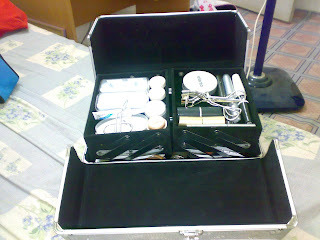 As you all know i love to makeup..not reli a lot, but i love to see how it performs magic. 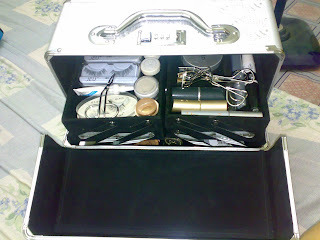 My own make up box! Before coming back to Melaka, mum made me a dessert. 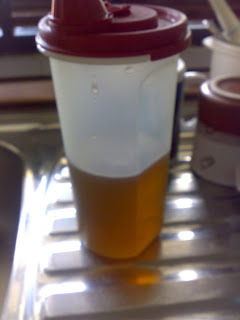 1st you need to prepare the syrup. I don't reli know how my mum cook it. But it's sugar, water and pandan leave. Stir til boiling, leave it to cool and store it. Buy some Longan. 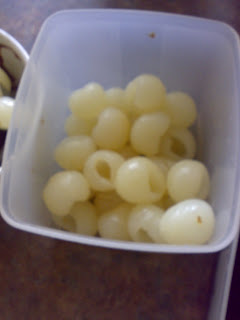 Can longan will do. And also buy cincau. They sell it in supermarket, packed like those japanese taufoo. After you got all these stuff, you can start making the desert. Do anytg you like with the cincau. Cut it..or whatever. 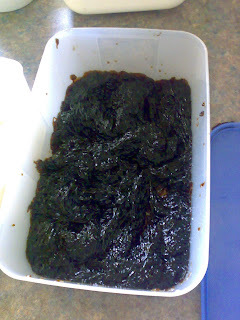 My mum make the cincau look like worms or maybe you could say it look like 发菜 but i dunno what's the name of board she uses to make it like that. Take a bowl, put some cincau and ice. 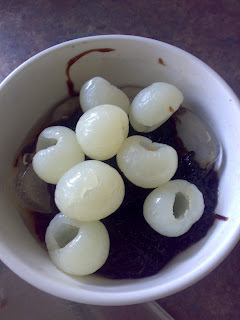 Add in some longan, and then pour in the syrup. 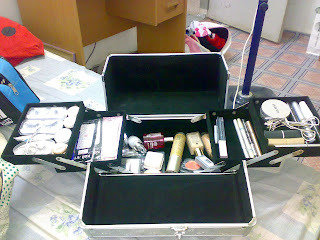 Bought some make up accesories stuff yesterday. 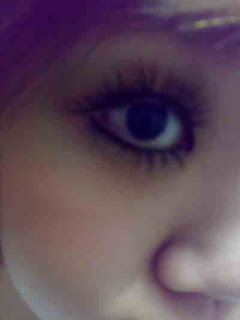 Played wit the fake eyelashes. Js finish packing all the stuff to bring home. Lots! Went to Malim for lunch jsnwwith my dear dear. 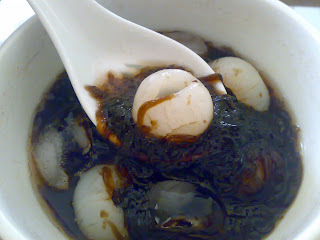 Yong Tau Foo. I don't reli know how to tell you where is it. Eh...it's behind at Mobil Station. Like to eat there..but it's really heaty so need to drink lots of liang cha. Delicious~ hehe. 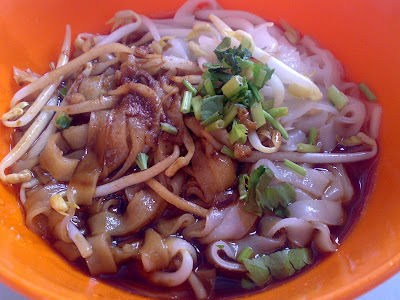 I ordered Dry Kuey Teow for myself...i love kuey teow. No mee for me thank you! 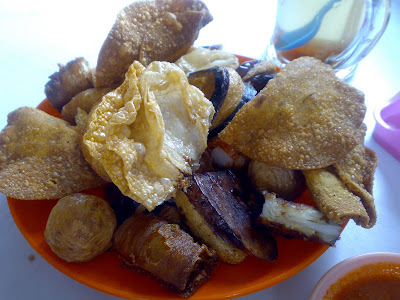 Various stuff of Yong Tao Foo. Yummy...but heaty.